The most basic form of social structure that a child first comes to terms with is the family. From the time your baby is born, till she is able to connect with people outside her home, the close knit family is her world. It is very important that your kids have a caring and loving family and learn about significance of family ties. 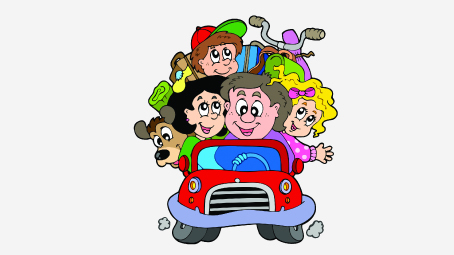 There are various activities which families perform together, like eating, playing and going on vacations. 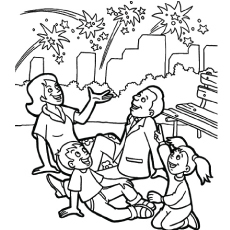 The coloring pages based on family portray all these activities in an attractive manner. Moreover, there are different types of families. Your kids can learn the fact that even animals have families and care for them. Since coloring is one of the most primary activities that your kids engage in, and family members are the first few faces they know, combining both of them will be a terrific idea. What’s more, they can explore the various things that families do together through these images. Here are some great images based on the theme of a family. Now check out here 10 amazing family coloring pages printable for you to spend some quality time with your child. Let’s start with a basic picture for your toddler, showing a happy family. 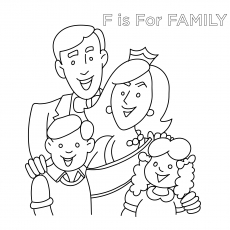 This image is also useful if you are teaching alphabets, as it says F for Family. Here’s a car that holds all. 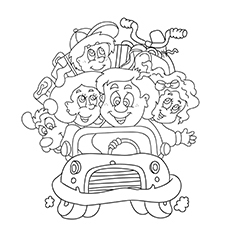 A fun filled image for your kids to color, this one has the entire family, the pet and loads of luggage, all in the same car. All kids love fairytales. So, here’s a coloring task that they will adore. 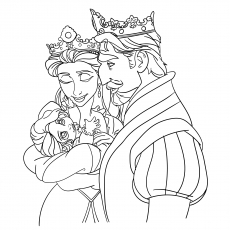 It portrays the family of Rapunzel, as she is seen in the arms of her doting mother, along with the king, her father. Entertain your kid with the story as she fills the colors. The next coloring task draws a lesson from the Bible. 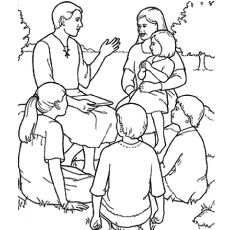 It shows Adam and Eve teaching their kids the virtues that they learnt from God. You can tell your kids about this first family on earth while explaining the picture. Here’s another picture that will give your little angel a dose of piousness. 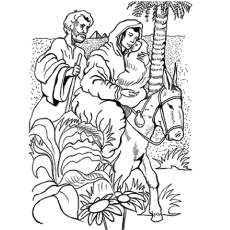 In this page, you can see Joseph and Mary carrying baby Christ through the deserts to safer lands. 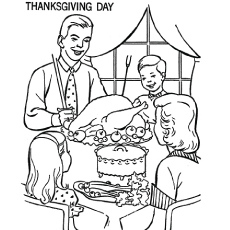 Before your kid does the coloring, you must tell her the story of the holy family. This is a simple one for kids who are starting with colors. 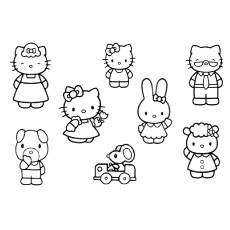 Kitty, the cute Disney character, is seen here with her entire family. Mama and papa kitty look really cute. Birthdays are special occasions for families. 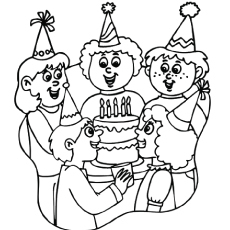 A happy family is celebrating birthday with full fervor in this image. Your kid will enjoy coloring the cake, birthday caps and dresses. Any celebration is incomplete without family members. That’s the message we get from this picture of a family enjoying the view of fireworks together on Independence Day. This one will also let your kids try some creativity with colors. Thanksgiving Day is a time for families to pray and feast together. A lavish spread, with cake and turkey, is seen here as the table is set for the Thanksgiving dinner and family members are ready to savor it. If you have a sweet little daughter, she will surely love to color this picture and will relate to it. The father holds the girl caringly on his lap as the mother looks on. Ask your kids to fill the image as they color the grass and sky too. Certainly you will appreciate these free printable family coloring pages as much as your kid does. They all will give you an excuse to spend time with your kid and make it a true family assignment. Let us know how you make the most of these family coloring sheets.